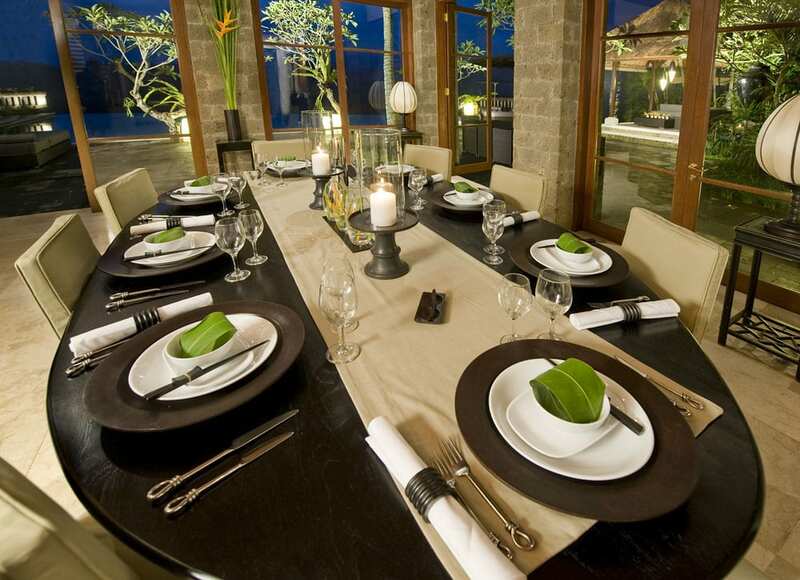 Voted by Elle magazine as Bali’s Most Beautiful Private Villa 2010, Villa Bukit Naga is not only secluded and peaceful, but also offers a true Balinese experience. 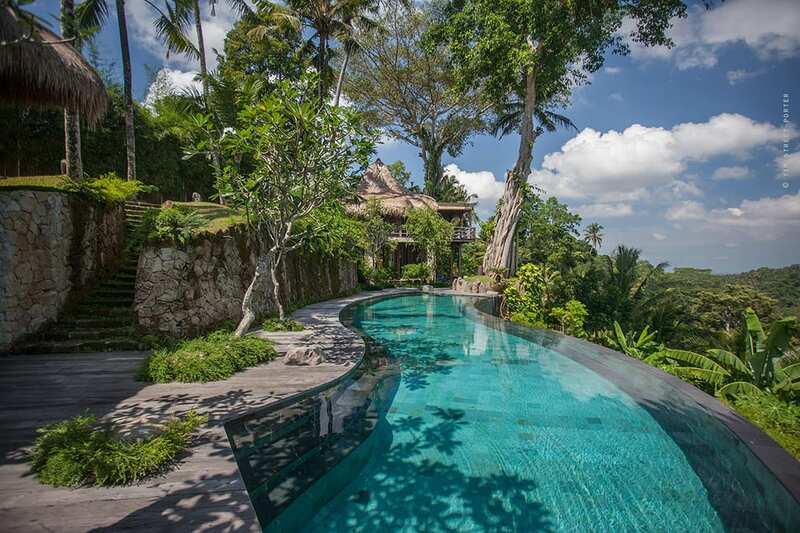 Located just a 20-minute drive from central Ubud, this stunning 7-bedroom luxury villa estate sits high on a hill above the convergence of two sacred rivers, and offers breathtaking views of distant volcanic peaks, a jungle-covered gorge and gorgeous tropical gardens. It is a favourite holiday rental property among celebrities and industry leaders due to its absolute privacy. It is not satellite positioned, meaning it cannot be found on Google Earth or GPS systems. ++ Villa rates are subject to 10% service charge and taxes. 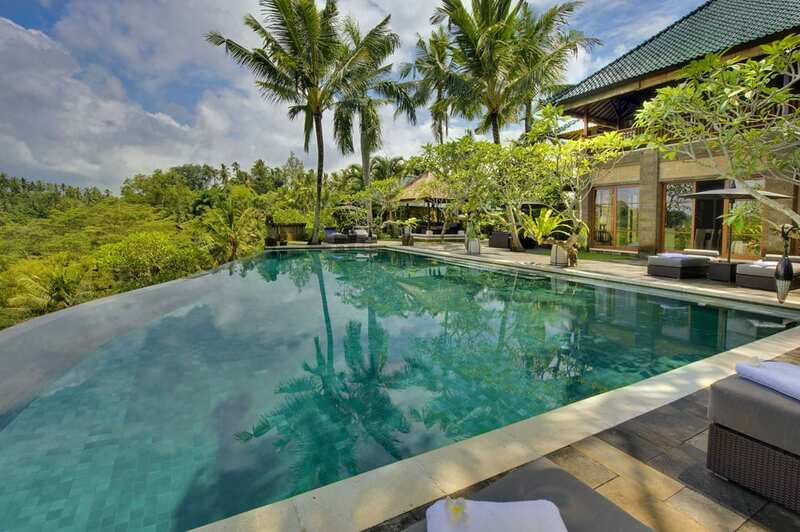 Villa Bukit Naga features three separate buildings with a total of 7 bedrooms, six of which have ensuite bathrooms. The villa can comfortably house 13 people, with plenty of space to spare. 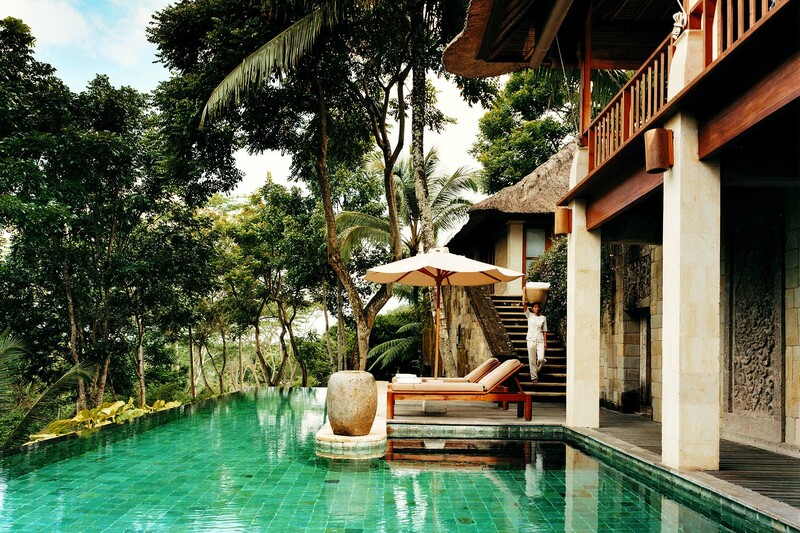 The 3 villas front the main infinity pool that overlooks the gorge, and each building is backed by the lush tropical foliage that stretches beyond the spacious property. The ground floor rooms feature private, enclosed outdoor terraces with rain showers, and are set back from the main entrances for utter privacy. 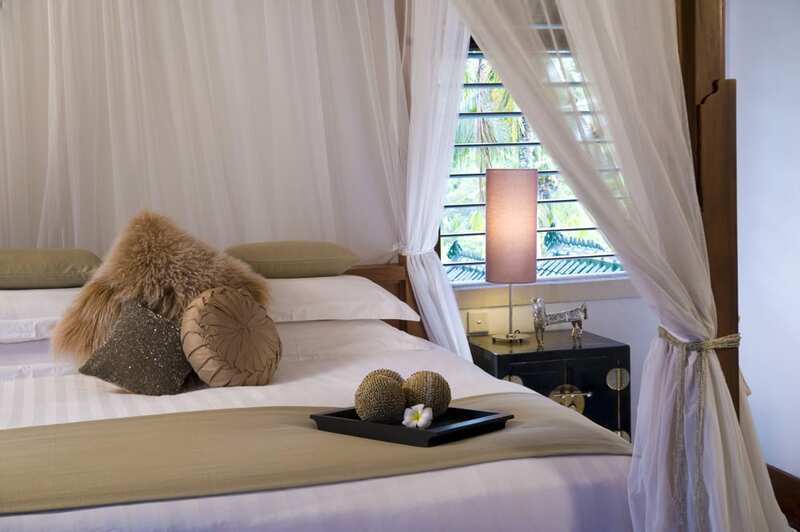 Each and every room in the villas also features luxurious wooden accents, unique artwork from around Asia, and high-quality linens, toiletries, A/C and fans. The main residence at Villa Bukit Naga is where you will find the communal living and dining area, as well as a fully stocked kitchen with restaurant-standard appliances. Off the main hall, there is an entertainment room decked out in quirky Mao propaganda posters, comfy couches and a satellite TV, DVD player and a wide-screen desktop computer. Open the wooden cabinets beside and below the television, and you will find over 600 DVDs for your perusal as well as a large collection of books for your reading pleasure. On either side of the main building there are two massive bedrooms, both of which have luxurious king-sized beds, elegant marble bathrooms with bathtubs, outdoor terraces and private outdoor showers. Head out into the hall and up one of the two graceful marble staircases, and you will arrive at the master suite, replete with a king-sized bed and luxurious amenities. Just outside there is a small room perfect for children or nannies. 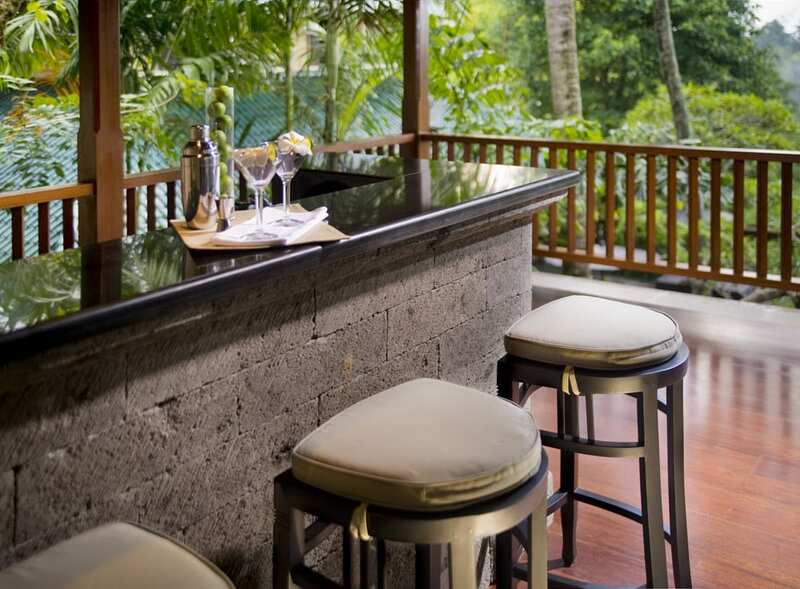 The upper floor is also where you will find the breezy wooden balcony with comfy armchairs and a small bar for enjoying sunset cocktails as you gaze out at the river valley and pool below. To the left of the main residence is a two-bedroom villa with one bedroom downstairs, and one up a winding set of wooden stairs. 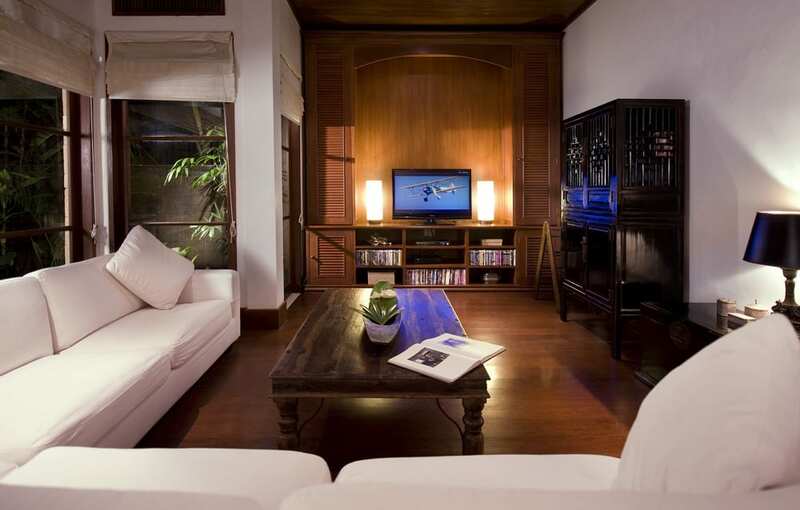 Both feature high ceilings, intriguing artworks and lovely wooden accents. This building also features a lounge area with an antique meditation bed, a private and secluded plunge pool with views over the river gorge, and a small gym. To the right of the main residence is the romantic single-bedroom villa, with an enclosed terrace overlooking the river gorge, and outdoor shower that spouts from a stone elephant head, and a jacuzzi surrounded by greenery and tropical flowers. The 50ft infinity pool has gorgeous green tiles, shimmering clear water that looks as though it spills over the side of the gorge, a spacious sundeck with comfy loungers, umbrellas, and a covered bale, and spectacular views of the forest beyond. Explore the pathways that snake down the hill in front of the pool to a secluded bale overlooking the river valley. LIVING AREAS Large living and dining room, entertainment and media room, 50-foot infinity pool, infinity plunge pool, gym, 2 outdoor bales, jacuzzi, cocktail bar on main balcony and extensive gardens. POOL 50ft Infinity Pool, infinity plunge pool, jacuzzi. STAFF 15 full-time staff: Villa Manager, Chefs, Villa Attendants, Butlers, Security Guards, Gardeners, Technician, Drivers. COMMUNICATION Wi-Fi in every room and poolside, landline for local calls, mobile phone coverage. ENTERTAINMENT Entertainment room with satellite TV and 600+ DVD titles, books, iPod docks. FOR FAMILIES Baby Cot, high chair and babysitting services are available on request. SPA In-villa treatments selected from a comprehensive spa menu can be carried out by professional beauty therapists (extra cost applies). GYM Air-conditioned gym with a yoga mat, treadmill and weight training equipment, complete with a TV and DVD player for your enjoyment. TRANSPORT Private transport can be arranged by the villa manager. EVENTS The staff are well experienced in setting up the villa for special events such as weddings, family and friends reunions, business meetings, birthday parties and retreats. ADDITIONAL Back-up generator, safety deposit boxes. PROPERTY AREA 8,000 sq ft (main residence), 2,500 sq ft (2 bedroom villa), 1,500 sq ft (1 bedroom villa). Villa Bukit Naga is at an undisclosed location to ensure ultimate privacy: the villa is not located on satellite or GPS systems. 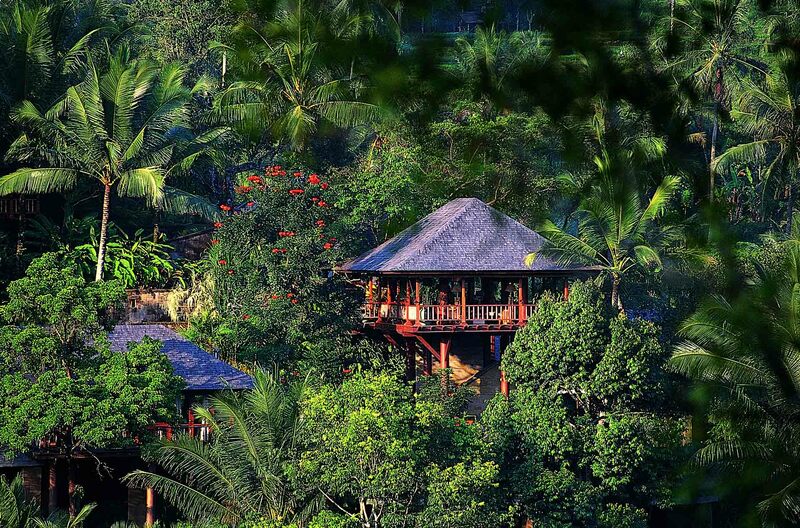 Just 20 minutes outside of Ubud, Bali's cultural capital and a 1 hour drive from the airport. Romance is a given at Villa Shamballa Moon, a peaceful getaway perched on the edge of a river valley surrounded by jungle. This gorgeous 1-bedroom luxury villa offers peace and serenity for those looking to escape. Sleeps 2 Guests. Villa Shamballa Residence is the perfect escape for honeymooners and couples, an elegant 1-bedroom luxury villa set in lush tropical greenery. With rustic-chic design and decor, gorgeous indoor and outdoor living areas. 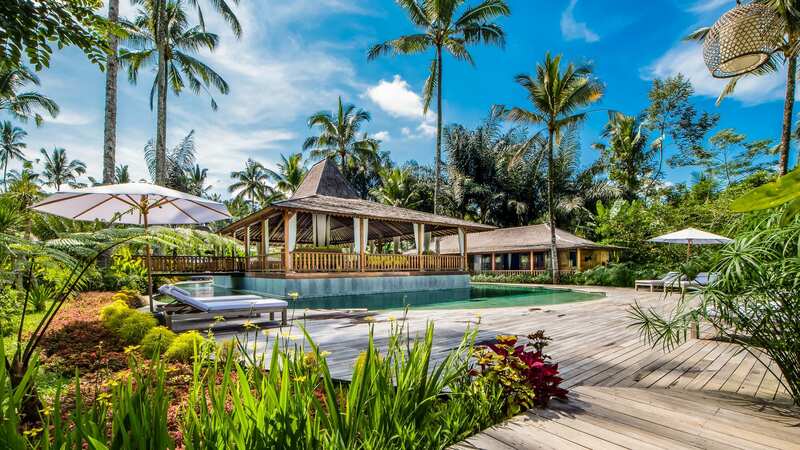 Set on the grounds of the world-renowned COMO Shambhala Estate, Tejasuara Residence is a sublime jungle hideaway that takes its inspiration from the exotic island of Sumba. 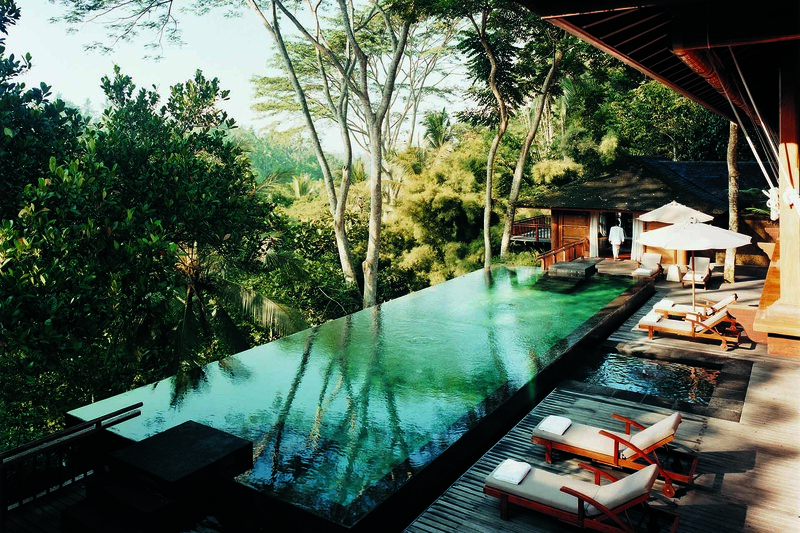 For a serene escape, Tejasuara makes for a unique and memorable stay in the heart of Bali. Elegant, inviting and superbly scenic, Villa Kamaniiya is a luxurious 3-bedroom property perched high on a ridge above a lush river valley. 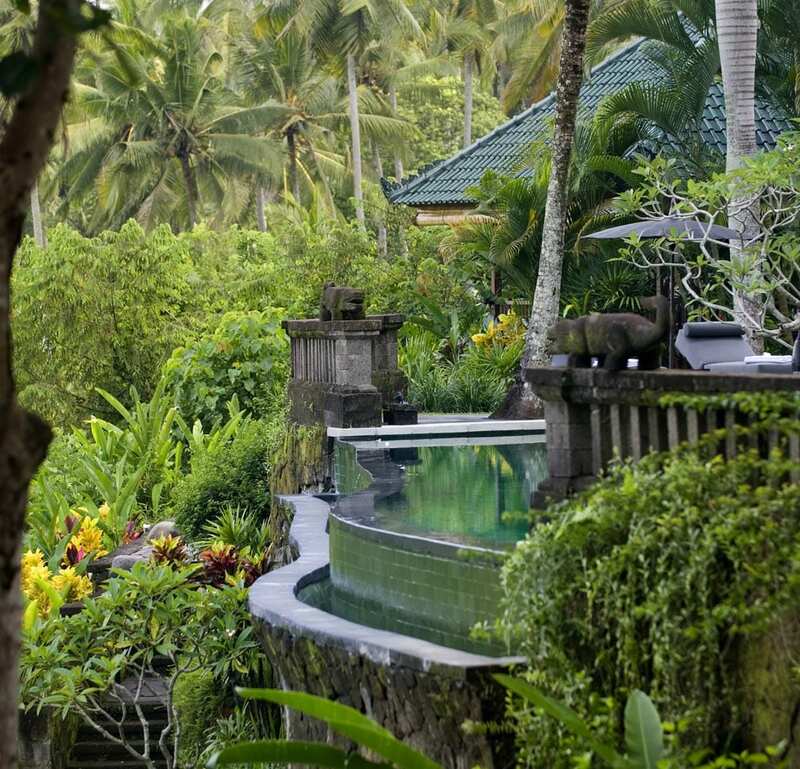 Close to the heart of Ubud, yet set on its own peaceful and private corner of paradise, Villa Kamaniiya impresses at every turn. 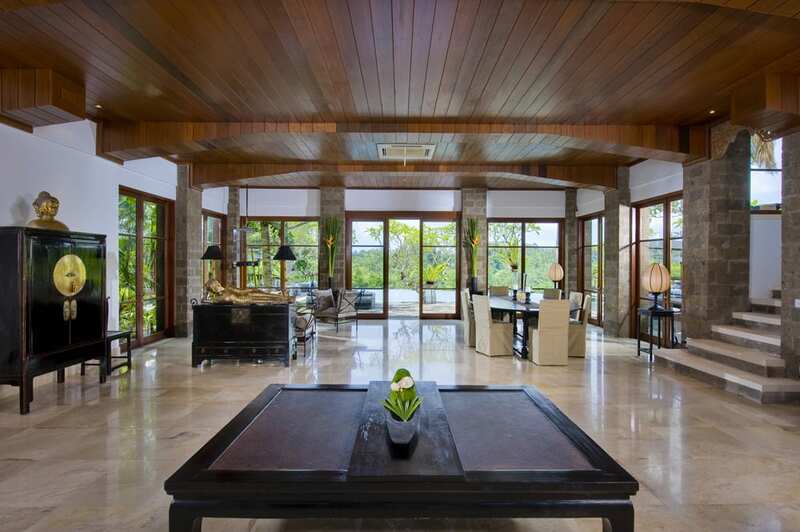 The ambiance is pure zen at Tirta Ening Residence, a 4-bedroom property awash in tranquil water features with views of lush gardens and forested ravine. 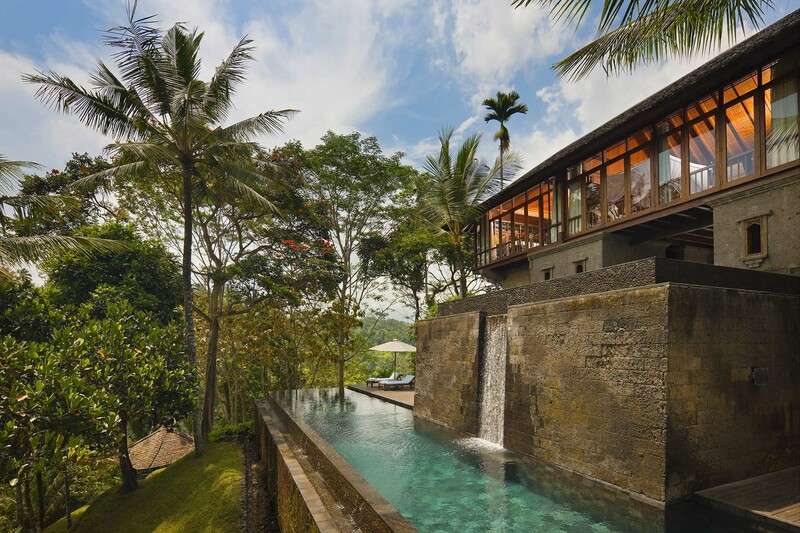 The residence is part of the award-winning COMO Shambhala Estate near Ubud. 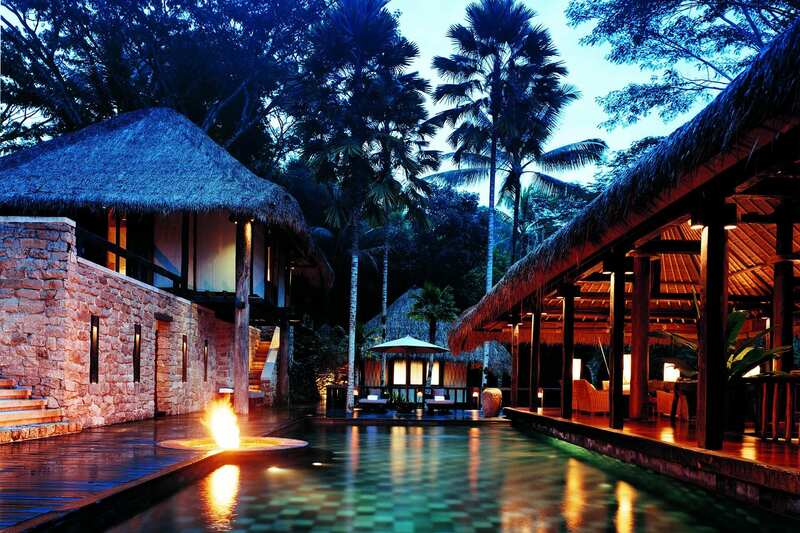 Villa Nag Shampa is a breathtaking oasis of elegance and tranquility surrounded by a lush tropical jungle. 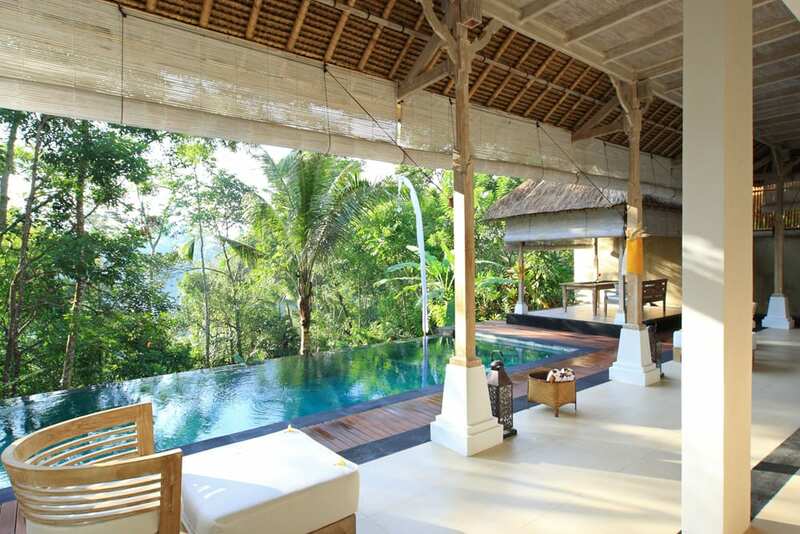 This luxury Ubud villa has 8 bedrooms, 5 gorgeous swimming pools, spacious living areas, yoga shala and exclusive spa facilities. Combining traditional Balinese elements and colonial elegance, Bayugita Residence is a striking 4-bedroom property nestled on the leafy grounds of the internationally acclaimed COMO Shambhala Estate. Set on the lush grounds of the award-winning COMO Shambhala Estate residential health retreat, Umabona Residence is a spectacular 5-bedroom hideaway with sweeping views of Bali’s Mount Batukaru volcano. 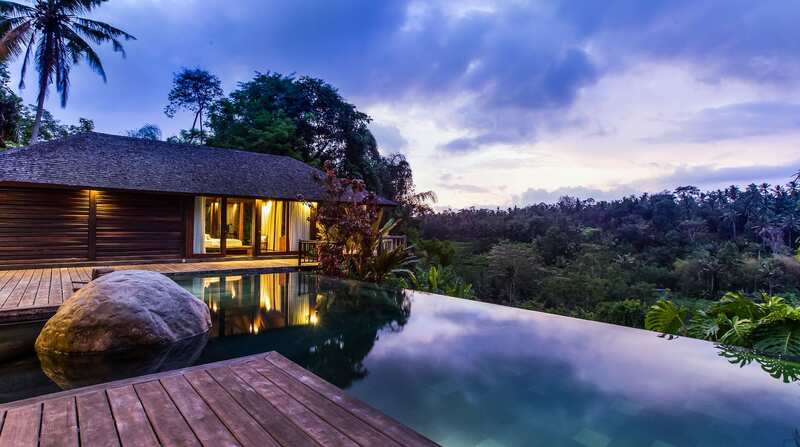 Carefully crafted around its natural environs high on the jungle-clad Sayan Ridge, Hartland Estate is a breathtaking 5-bedroom villa just outside Bali’s cultural capital of Ubud. Elegant and charming, Hartland Estate is a true hidden gem. 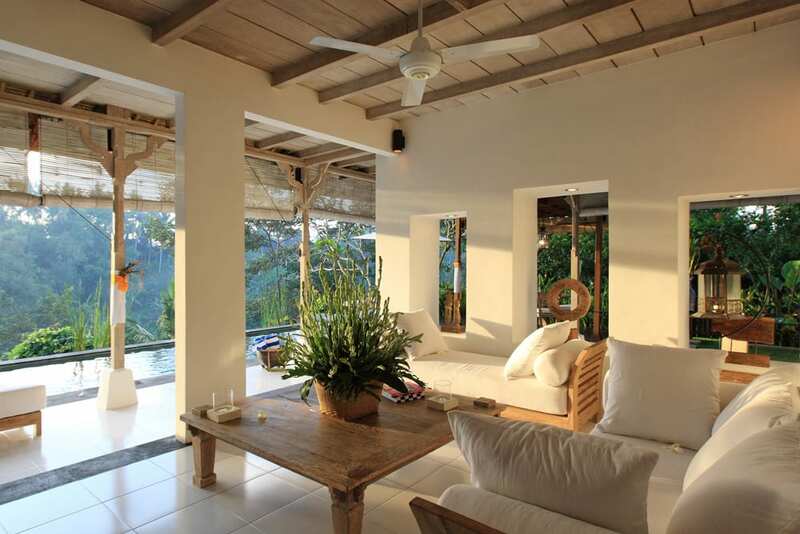 Villa Shamballa is a private 1-bedroom luxury villa offering an intimate and indulgent experience. 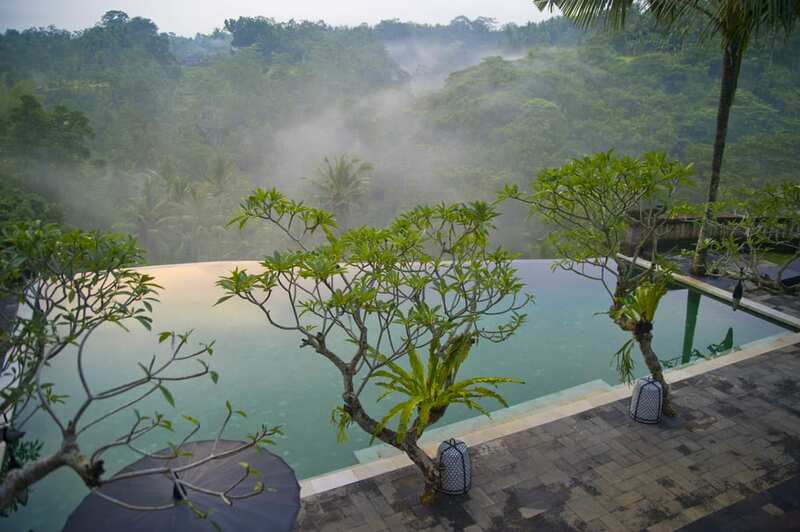 Perched on a stunning ravine overlooking a river valley and surrounded by jungle in Ubud, this romantic hideaway sleeps 2 Guests.